“Many of the big sound & light retailers in Europe listed the products quickly after the product release and the demand from the customers was great!” says Norbert Stangl, Sales&Marketing Director at Laserworld. 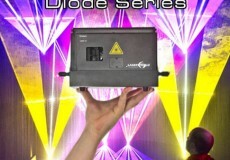 “We set this product line to provide a semi-professional laser show system at significantly low pricing, but with professional features like the latest diode-only technology and analogue modulation”. The Diode Series RGB white light products are available in 3 different power levels with up to 800mW, 1,800mW and 3,300mW: The DS-900RGB, the DS-1800RGB and the DS-3300RGB. All Diode Series units have Automatic mode, sound-to-light mode, DMX512 capability and an ILDA (computer control) interface. The Diode Series units are diode-only systems, meaning they are equipped with semiconductor laser sources, which provides the advantage of great color fading behavior and a great beam profile. The Diode Series units have beam specifications of ca. 3mm/1.3mrad and a scan speed of 40kpps@4° with a maximum scan angle of 40°. The housing of the Diode Series units is built according to the Sealed Housing Technology and thus has no air flow inside (which reduces maintenance efforts to a minimum) – the temperature control is done with cooling fins on the lower part of the unit, combined with some small and silent fans. The Laserworld Diode Series units come with bright 638nm red, which is superior in visibility and thus in “brightness” than normal 655nm red. 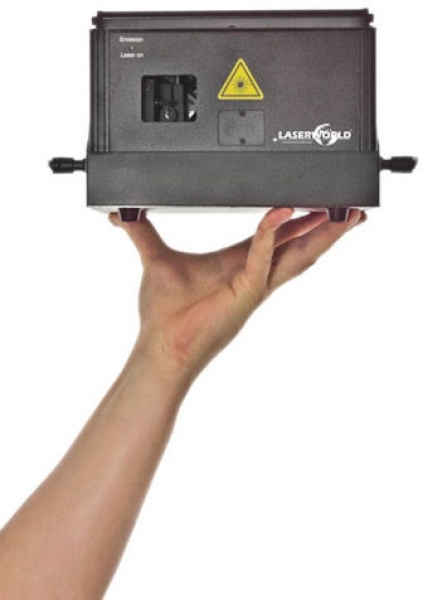 For additional laser safety, the switchable scan fail safety prevents the output of static beams. 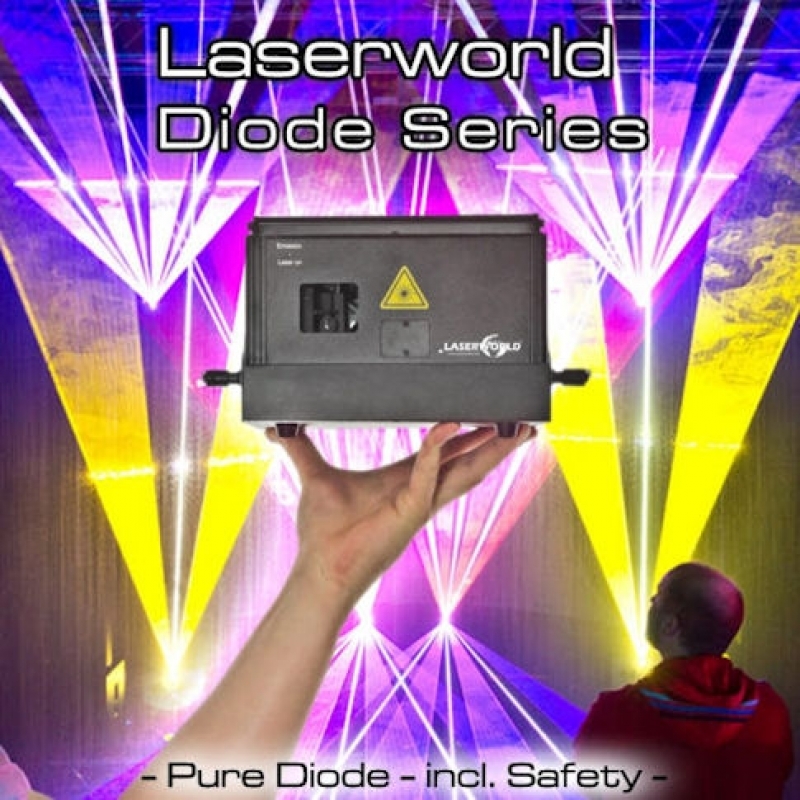 Within the product range of the Laserworld brand, the new Diode Series is the highest product line. 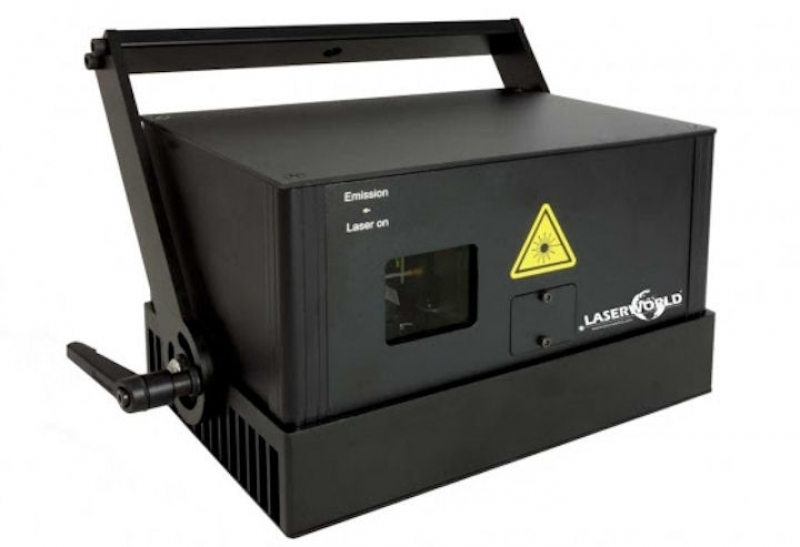 More professional laser units are available in the SwissLas, RTI and HB-Laser brands.